He's reportedly also signed that new contract with WWE. Dolph Ziggler will be out of action for around a month as he's filming a new movie for WWE called "6:42." The report from PWInsider also notes that Ziggler has signed a new contract with WWE. In the movie, Ziggler will play a cop named Ray Fitzpatrick that has to overcome his past while dealing with a plot to blow up a child with a bomb strapped to their chest. 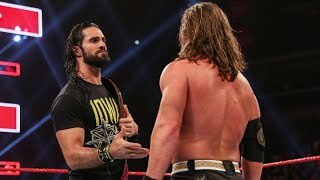 Since the filming of the movie will take about four weeks, it's expected that Ziggler will be back in time to set up a match for SummerSlam on August 23. Ziggler will film the movie, which is a thriller, in Vancouver. That's where a lot of WWE movies have been filmed in the past including a recent movie that his on screen girlfriend Lana filmed with Edge.